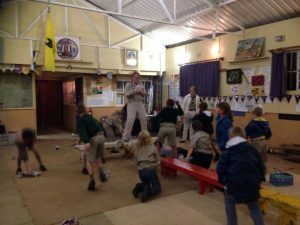 By Debbie Ferguson, Pack Scouter at 1st Eagles on the West Rand in Johannesburg. So. I’m sitting at my desk in my study. It wasn’t supposed to be a study. It was supposed to be my ‘she-shack’ or something trendy and chic with exposed rafters, a sofa and a ceiling fan. Next door, in the dressing room, are a few things I also hadn’t planned. Okay, I had planned the shoe cupboard. Meticulously. I’d spent some time planning the layout of the wardrobes too. Both turned out brilliantly, but what’s inside is not entirely what I had envisaged. The garage downstairs? Well, that was for the cars. Was. You see, a few years ago I thought it would be nice if my son joined Cubs. When I was at school it was just something we did. Boys went to Cubs and girls went to Brownies, and I’m not shy to admit I was always jealous of the boys. They just seemed to have more fun. Anyhow, there I was being a mom, who worked in the film and television industry from time to time. I wore mostly black clothes and spent lots of free time after school with my son. Pretty cool. Then one Friday night we went to Cubs. 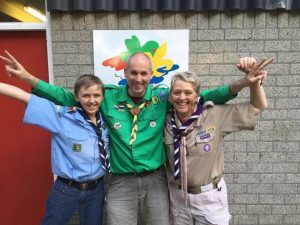 A few weeks later the Scouters needed some help and I offered to do my bit. After that things changed. Radically. In the shoe cupboard are brown hiking boots and, I kid-you-not, a shiny pair of size 5 lace-up brown school shoes. And they are mine! In the wardrobe are no less than three uniforms. Khaki, with epaulettes, and all mine! 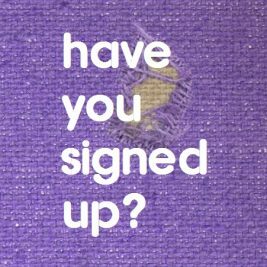 The mostly purple t-shirts and the sweaters branded iScout, have replaced the crew t-shirts I would get at the end of each TV series I worked on. A “snowball fight” at one of my Pack meetings. There are a few more things that changed in my life. I have some sensible clothes and shoes that are good for standing in for hours on end. Clothes that would meet the approval of a school headmaster. There are books and files and notes and seemingly endless assignments and exams that come with studying for my teaching degree. If someone had told me 6 years ago that I would be studying, wearing a uniform, being an Akela, and working as a teacher I honestly would’ve called them a liar. That’s what happened. Working with Cubs reminded me of my love of teaching and by the end of the year I will have completed one qualification and be halfway to my degree. It wouldn’t have happened if it wasn’t for Cubbing, so I guess it’s perfectly safe to say that Cubbing changed my life. I couldn’t be happier. Friday evenings with my Cubs are a highlight of my week. Those little people have enriched my life!